I think most of us use two or more browsers on our PCs, isn’t it? And sure, a lot has happened to us we want to open the same tabs that we have in Firefox, but Chrome. 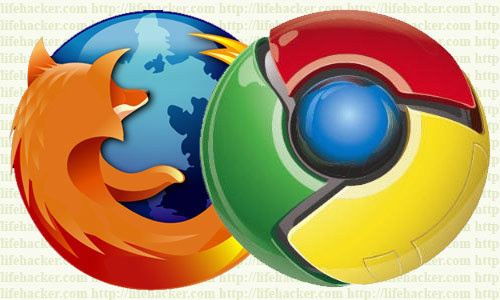 Well well, to avoid being copied each of the links, we can do is simply install an extension in Firefox and the task will be reduced to a couple of clicks. Of course, to do, you must be a user of Firefox and Chrome, because if you use other browsers, this will not help at all. Anyway, that said, I tell you what this extension is called Open in Chrome. Suppose we have about 10 tabs open in the browser window Firefox, and Chrome have about 4 tabs open. Then, not to be changing every second window, we want to export those 10 tabs of Firefox to Chrome, and so only work in a browser window. So if you have installed Open in Chrome, which we have to do is go to the Tools menu in Firefox, to click the “Open tabs in Google Chrome” and ready. The 10 tabs appear next to the 4 they had in Chrome. Now, if the browser had Chrome open, then open a new window. Or if you had multiple windows of Chrome open the tabs in Firefox appear in the latest Chrome . Easy, right? To download the extension Open in Chrome, they click the link below. I hope you have served, have any problems? Do comment below.